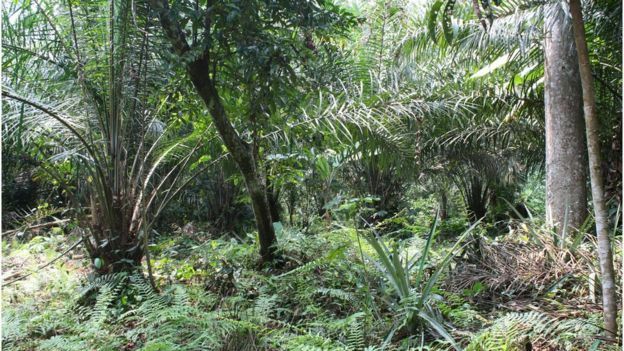 Establishing new nature reserves with strict protection measures actually fails local communities and wildlife in the Congo Basin, a report says. It said despite vast sums being spent on rainforest conservation, biodiversity continued to decline and community rights were being eroded. Rainforest Foundation UK said the use of armed “eco-guards” forced people to leave their homes and livelihoods. It called on international donors to review how they funded such schemes. The report published by Rainforest Foundation UK (RFUK) called for donors to adopt a “sustainable conservation” approach that engaged local communities rather than excluding and evicting them from their ancestral homes. 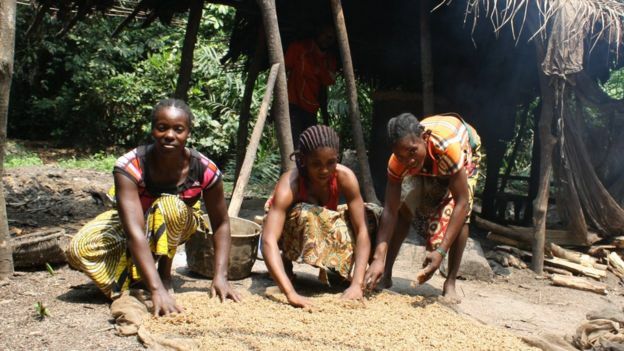 “Over the past several years we have been encountering many instances in the Congo Basin rainforests where the establishment of strict protection measures has been causing extreme difficulty for people living around those forests,” said RFUK executive director and one of the report’s co-authors Simon Counsell. Mr Counsell told BBC News that the developments were of “grave concern”. “Not only is this causing a great deal of animosity towards conservation among local people, it is also doubtful whether this is succeeding in protecting the wildlife,” he added. As well as alienating support for conservation efforts, Mr Counsell said that the heavy-handed approach to protecting biodiversity in the region’s rainforests could actually be making matters worse. “By creating these vacuums in the forest from which the native custodians and guardians of the forests have been evicted and into which has sucked large-scale commercial bushmeat hunters and poachers,” he observed. The report called for a rethink about the way conservation measures were established and implemented in biodiversity-rich areas, such as the rainforests in the Congo Basin. “We can do things better, as in our own protected areas in Britain for example,” suggested Mr Counsell. “They are living landscapes and we understand that we must work with local communities and respect their rights and their livelihoods. This has made some of our national parks, for example, a success. “This is the sort of approach we are going to have to learn to take in other countries around the world. Using an example from the Democratic Republic of Congo, Mr Counsell said this allowed local communities to strengthen their rights to look after the land, benefitting from the forests by managing and sustainably harvesting resources. The report said this approach also respected local customs, which often include protecting the local wildlife through taboos against hunting certain species. “Integrating these customs into the very fabric of how these parks or reserves are managed… is pointing towards a much more sustainable way of dealing with the serious problem of wildlife loss in the region,” Mr Counsell added. He acknowledged that it would take some time to correct previous mistakes but added that unless change happened “pretty quickly then we are going to see the precipitous decline of wildlife continue in the future”.